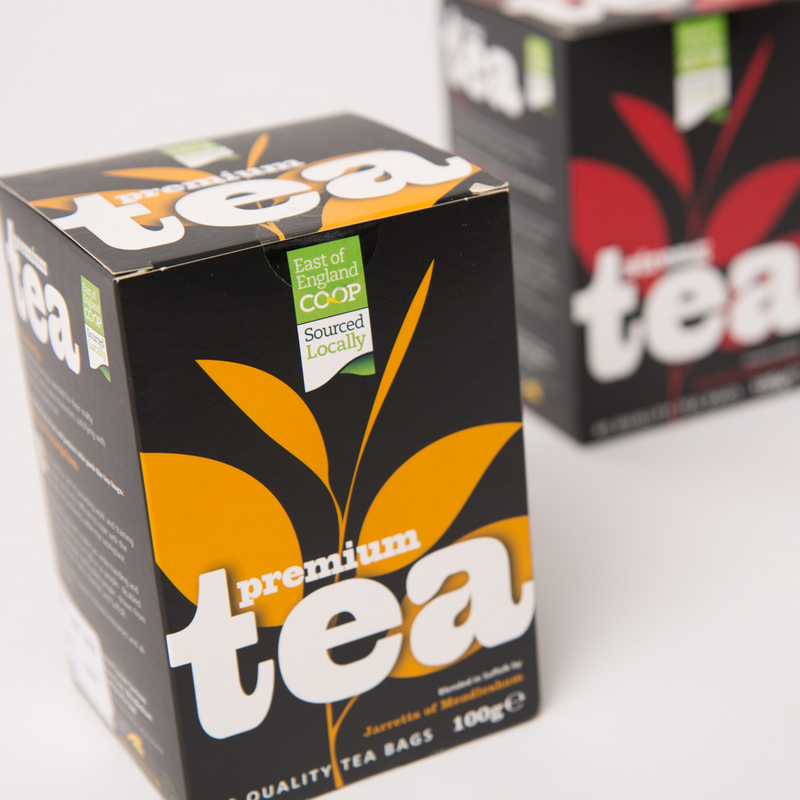 Jarrett Tea is a specialist supplier of quality teas, tisanes and infusions. Les Jarrett has built a reputation in the field of agriculture and services to the food and drinks industry spanning over forty years. He has risen from laboratory technician to running his own business over the last quarter of a century, based upon a sound and methodical approach learnt in his scientific role. It is his knowledge and background gained from working with alternative crops in the food, drink, cosmetic and health sectors that has gained him the respect and contacts that he has today. RD3 were approached by Les Jarrett to develop designs for Jarrett Tea’s new Locally Sourced tea range. We came up with a stripped-back, holistic look using a strong black background and stylised tea leaf shape. 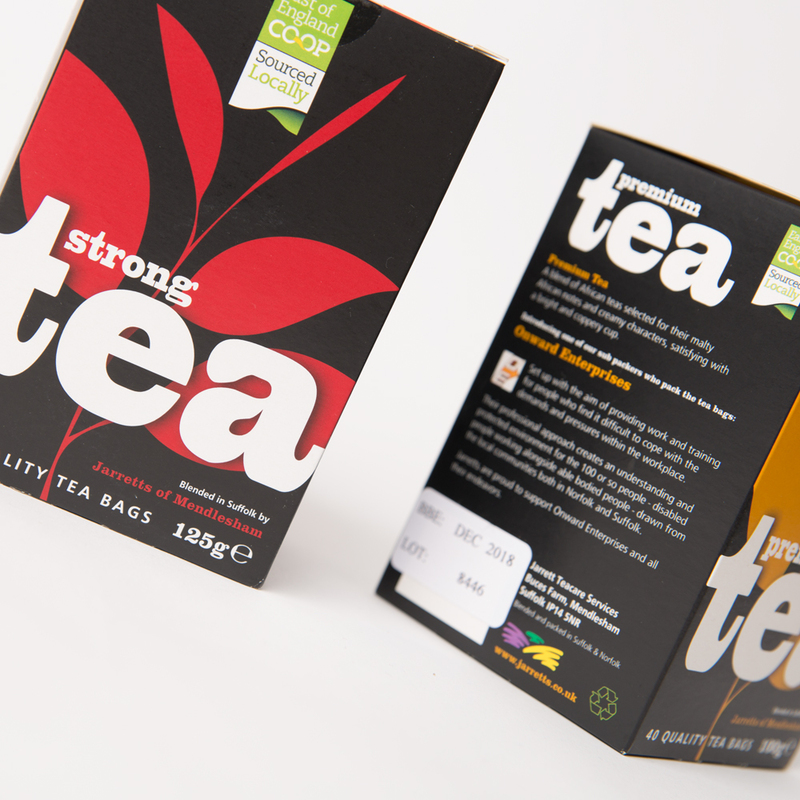 The leaf was coloured to reflect the different strength teas that Jarrett Tea offers their consumers. 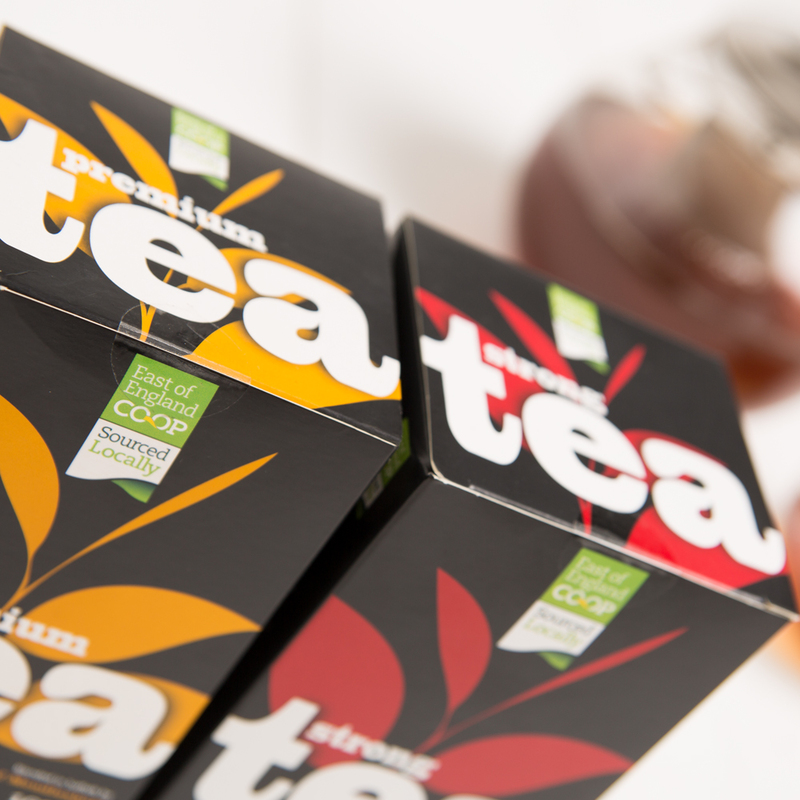 This new range of packaging has helped to create excellent shelf-presence in local Co-op stores and to establish the Jarrett Locally Sourced brand in a very crowded marketplace.